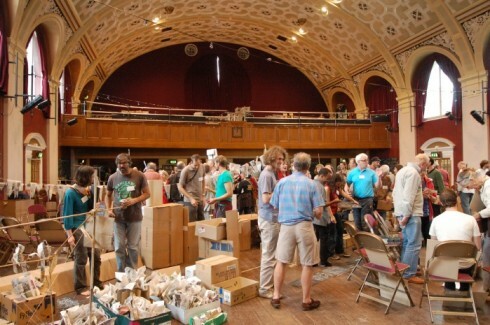 Over the weekend of 14/16 September, I attended the sixth annual Transition Network Conference at Battersea Arts Centre. As a new member of Ealing Transition Steering Group, it was a fantastic opportunity to meet a wide range of people working within Transition initiatives, not only in the UK, but across the world. 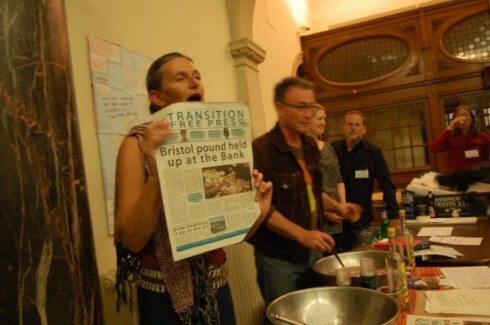 I met enthusiastic people in their 20s and 30s who were starting up their own Transition initiatives in large European cities experiencing severe economic crisis. It was encouraging to meet so many people actively engaging with issues of climate change, peak oil and building more resilient communities, through practical grassroots action. We exchanged ideas and support in the many workshops and interactive sessions. By the end of the conference everyone felt more energised and motivated through experiencing the commitment, vision and skills which we have as a growing movement for positive social, environmental and economic change. Before the opening circle of the conference, I was present at the launch of the Transition Free Press, the new quarterly newspaper for the Transition movement, to be available on paper and electronically. The whole team made speeches in the foyer and I tried some of the homemade herbal Pimms. Transition initiatives will be asked if they wish to purchase copies of the paper newsletter, for resale or offering to interested people. Minimum orders are required to make the venture financially viable. There were so many interesting workshops and Open Space sessions on offer that it was difficult to choose! This Open Space discussion group covered some of the real difficulties Transition Initiatives may experience in attracting active members. 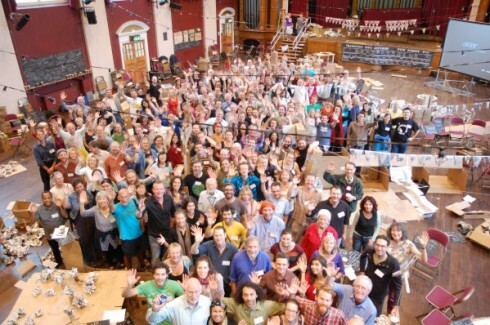 Groups may have plenty of people on the email list, but attendance at events can be very low and some groups reported difficulties forming a committed core group. Solutions were discussed, including recruiting volunteers through volunteer centres and universities, and engaging these more effectively through a volunteer co-ordinator. This workshop was run by an organisation consultant and professional facilitator, Martin Grimshaw, who offered his experience of working with Transition initiatives and other similar organisations to help us pinpoint the qualities, attitudes and behaviours needed to lead effectively within Transition initiatives. This was a very popular workshop and participants discussed common challenges such as who really has the power in “consensus” decision-making, and how to lead without either dominating or being afraid to take personal initiative. Sunday was given over to a powerful group exercise where over four hours we built our ideal high street and local economy for Transition Town Anywhere. 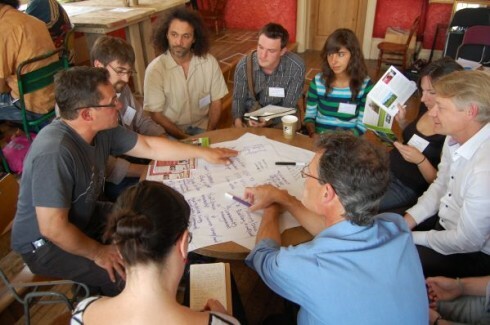 At first we worked in small teams to create neighbourhoods, then enterprises and workgroups. We used cardboard, newspaper, sticky tape and garden canes to physically represent the world which we wished to create. While the exercise felt utopian in some ways, as we created our “dream town”, it was noted how most of the ideas and enterprises have already been proven to be practical in the “real world”, only they don’t currently exist in such high concentration! Feedback from workshop attendees was very positive and there was a call from several international attendees to consider holding the next conference outside the UK.